– Lower respiratory tract Infections: eg acute and chronic orcncmus pneurnonia. – gastro -intestinal tract infections: e.g. emenus. typhoid and paratyphoid fevers. E-MOXCLA Tablets and Oral Suspension may be gIven Without regard to meals. 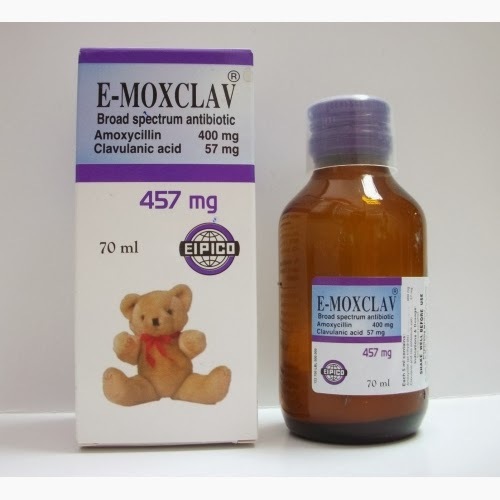 E-MOXCLAV* 375 mg Tablet or One E-MOXCLAV.t:I 625 mg Tablet every 12 hours, more than One E-MOXCLAV@375 mg Tablet or One &MOXCLAV@ 625 mg Tablet every hours, depending on the severity of Infection. One E-MOXCLA V@ 375 mg Tablet or One E-MOXCLA V@ 625 mg Tablet every 24 hours, an additional dose during and at the end of dialysis. 22B.5 mg Oral Suspension every 12 hOUTS. B hours or ~ teaspoonful E-MOXCLA v@ 228.5 mg Oral Suspension every 12 hours. In severe infections, these dosages may be doubled. Children < 3 months of age: 30 mg/kg/day divided every 12 hours. based on the amoxyc content. Use of E-MOXCLA~156 mg / 5 ml Oral Suspension is recommended. Children 3 months of age or older: E-MOXCLAV«> 156 mg/5 ml or 312 mg/5 ml suspension: 20 – 40 mg/kg/day divided every 8 hours. E-MOXCLA~ 228.5 mg/5 rnl or 457 m9/5 mt oral suspension: 25-45 mg/kg/day divi every 12 hours. Children 40 kg: Dose according to adult recommendations. 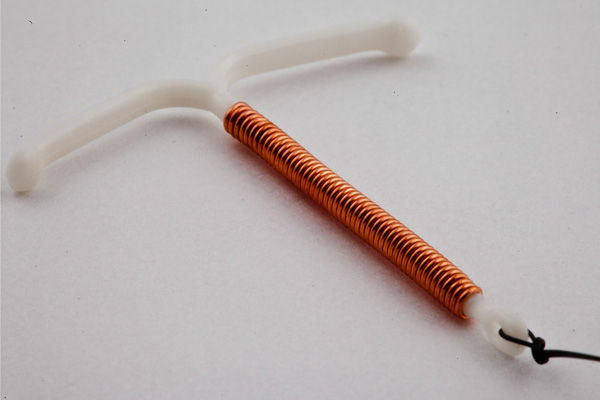 -E-MOXCLAY@should be discontinued if a skin rash occurs. -E-MOXCLA~ dosage in renal irnparrment: Refer to Dosage and Adrmntstraticn section. -tn pauems with hepatic function tmpaiment the drug should be dosed with caution and bep function should be monitored. A known hypersensitivity to penkilllns or cephalosporins. -Hepattns and chotestauc jaundice have been reported rarely. -Occasional cases of erythema mulliforme, Stevens-Johnson syndrome, toxic epider necrolysis, and exfoliative dermatitis have also been reponed. Store at temperature not exceeding 250 C, and protect from light and moisture. – E-MOXCLAV@3750r625mgor] gm Tablets: A box of 10 tablets. – E-MOXCLA~ 457 mg/5 ml Oral Suspension: A bottle of 70 ml after reconstitution. EGYPTIAN INT. PHARMACEUTICAL INDUSTRIES CO.